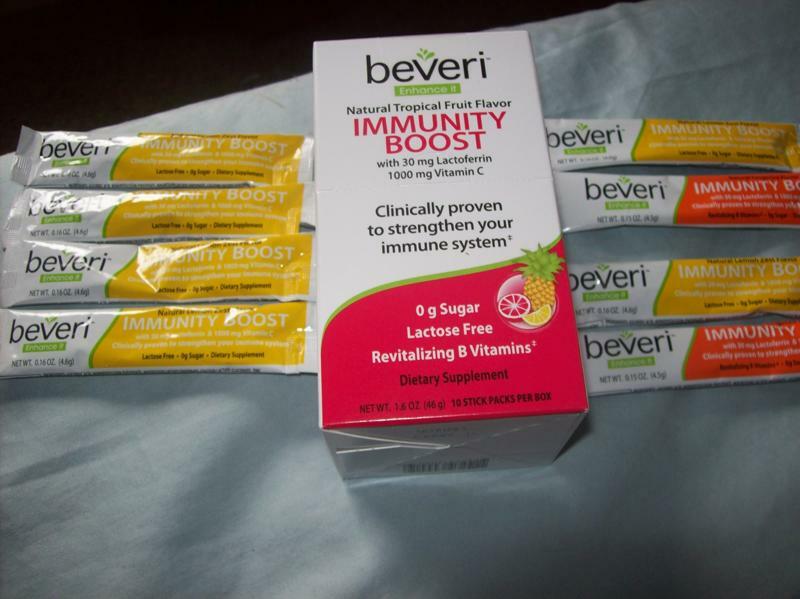 beveri Immunity Boost Review + Free Sample! beveri Nutrition sent me a few flavors of their immunity boost product for review. First, let me tell you a little bit about this product. beveri Immunity contains "contains Lactoferrin, a protein derived from whey protein that is clinically proven to strengthen the Immune System. In addition it contains 1000 mg Vitamin C, Zinc, revitalizing B Vitamins and other beneficial vitamins and minerals. beveri Immunity Boost comes in 3 great flavors - Natural Tangerine, Natural Lemon Zest and Natural Tropical Fruit. Simply add one stick pack to 16 oz water mix and enjoy!" My opinion as a nutritionist: I believe that this product is great! My favorite flavor was the lemon zest because it tasted similar to lemonade. Also, taking these vitamins are healthy for you and may help prevent a deficiency if your diet is low in any of these vitamins and minerals. I would recommend just adding it to a bottle of water during the day and drinking it. Where to Buy: check the beveri website where this product is sold. It is sold in many stores across the country! 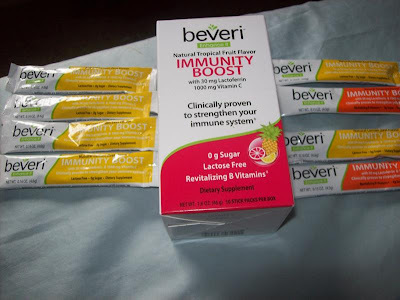 ***The 50 first readers who sign up here will get a free sample of beveri Immunity Boost!! Thanks beveri for sharing your product with me! Thanks for the info about the product. I also think that this one is great and very effective.